A psychology professor (John Beal) decides to implement some of the theories of prison reform that he has been teaching. 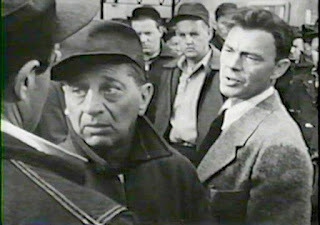 To do so, he takes up the appointment of psychologist at a penitentiary; faced with an utter lack of personnel, he learns he must recruit several of the inmates as his staff. These six are the first prisoners he studies, and those whom he grows to know the best. Each is different, each is dangerous, in his own way. 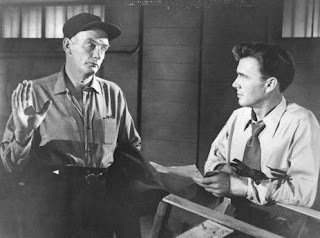 This prison drama - which has a fair share of levity to it - is almost gentle, compared with the hard-hitting prison movies that were popular at the time. There are no George Raft or James Cagney types. Instead, we see Millard Mitchell as a safe-cracker, and Gilbert Roland as a gangster. There is little violence, despite an escape attempt in the last reel. Yet this, I found, worked in the film’s favour. I have never been in prison, or even jail, but, like war (another situation in which I have never participated), I imagine that, for those who have experienced it for a while, it is largely boredom and routine, punctuated by moments of terror. There is tension in My Six Convicts: a vicious brawl near the beginning comes out of nowhere, and the advent of a prisoner labelled a psychopath (Harry Morgan) beings an unease that is very well conveyed by the other convicts. It underscores something Beal learns early on, and that is that one can never be completely unguarded in such a setting. 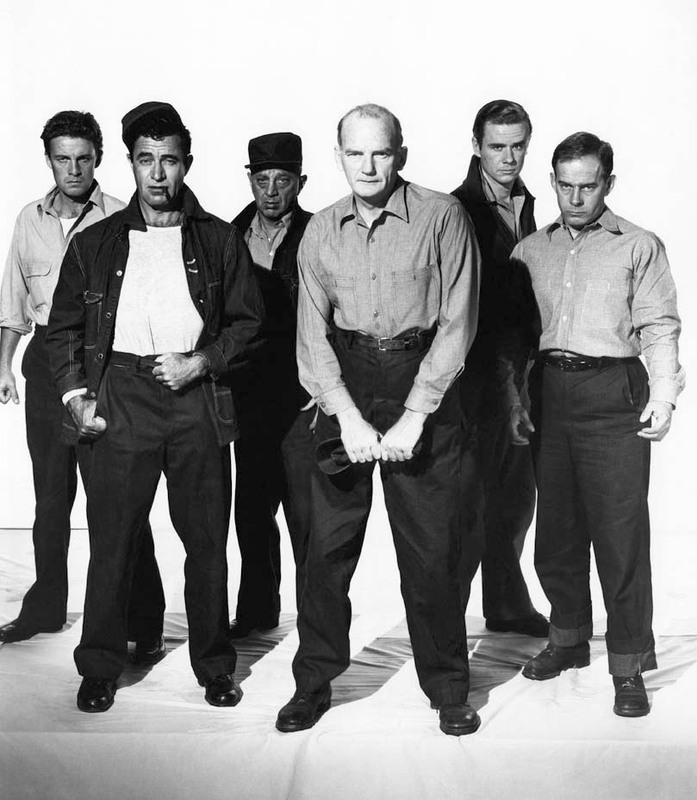 Despite the humour in many scenes, the sentimentality of the friendship the convicts come to feel for their ‘bug doctor’ (from the old term for crazy: bugs, bug-house, bugsy) is offset by actions that prove the criminals have their own sense of morality. Their solution to a hostage-taking is not one any police negotiator would sanction. In the end, though, My Six Convicts makes an argument for trusting everyone - but trusting that they will act true to their personalities. Even Mitchell, the most likeable of the prisoners, is continually lying, seemingly for its own sake; yet it does not, in the end, make him a bad person. 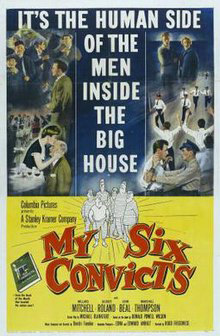 Whatever lesson, if any, the viewer draws from this film, it will be learned in an entertaining and easy-going manner, thanks to My Six Convicts. I read the book this movie was based on when I was in college. It was a fascinating human-interest story; I had no idea they made a film adaptation.